Nicole Cleland receives an award from US Cellular and the Future of Good for her commitment to Beyond the Bell. KLAMATH FALLS, Ore. — Youth can be counted on for inspiration. Sixty-four percent of kids age 8-17 years old believe that kids can make a positive impact on the world, and 75 percent are interested in helping make their community a better place. 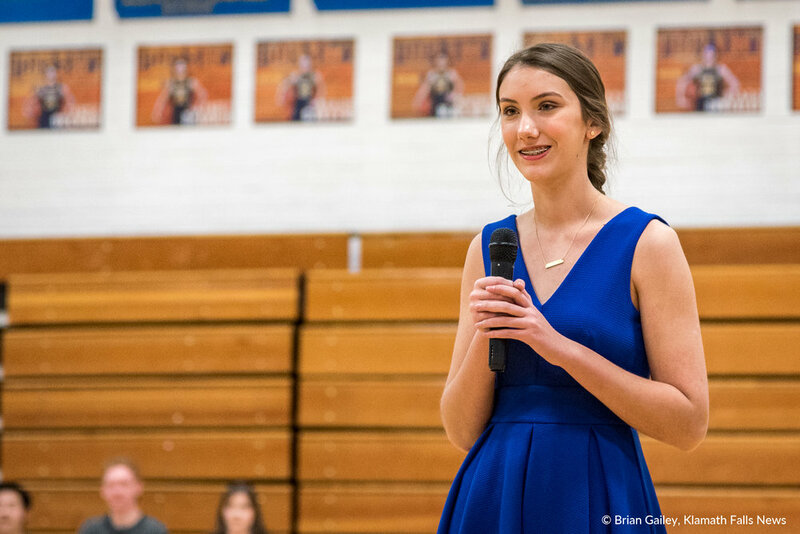 U.S. Cellular announced Nicole Cleland of Beyond the Bell from Klamath Falls is one of four young humanitarians selected following an online national nomination contest as part of the company’s The Future of Good program. "Once a month I put on Beyond the Bell which is an after school program for elementary students [3rd through 5th grade]," states Nicole Cleland during her acceptance speech at Henley High School. 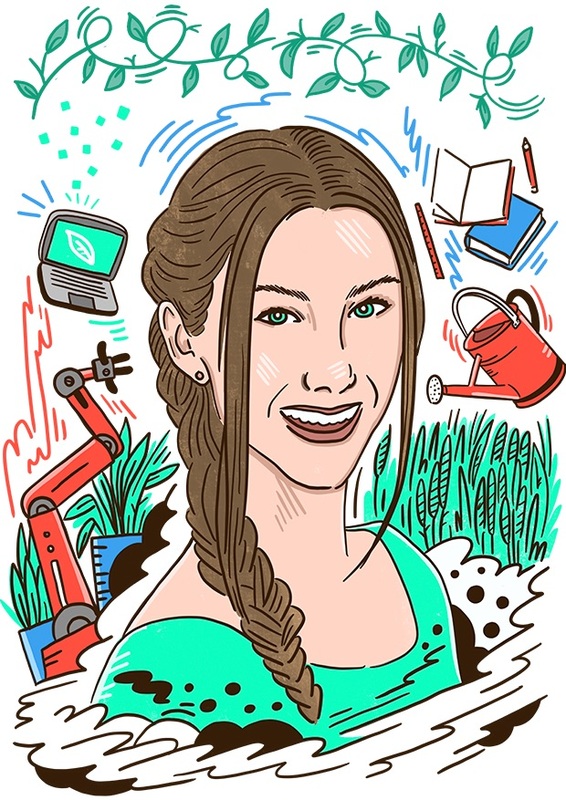 "I use project base learning to teach about agriculture and STEM." "I really want to thank all my teachers and everyone who has helped me," continues Cleland. "I want to point out that Nicole was chosen as one of three recipients from across the country out of 300 nominations," states local US Cellular Store Manager, Cora Christ. "This is not something that should be taken lightly, and something that should really be celebrated!" The wireless carrier contributed $1,000 to Beyond the Bell, the after-school program founded by Nicole to help elementary-aged children learn more about how science, technology, engineering and mathematics (STEM) affect the agricultural industry. Nicole was elected to serve as the organization’s chief science officer this year. 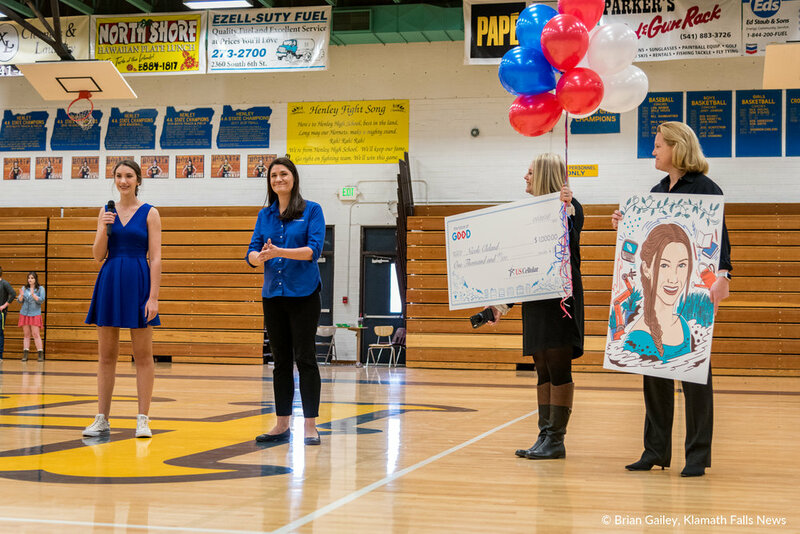 The contribution from U.S. Cellular is part of a total of $42,000 consisting of in-kind and monetary contributions to help youth continue building The Future of Good. 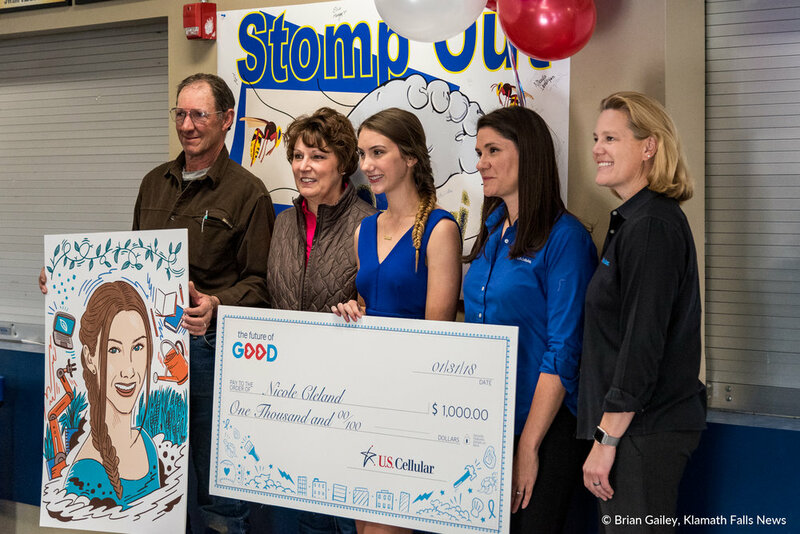 Nicole was selected for this program by U.S. Cellular after being nominated online, and she is featured on TheFutureOfGood.com to tell the unique story of how her cause is impacting the local community. News information adapted from a U.S. Cellular press release and from the Henley HS assembly and award presentation.